To the connoisseurs of the game who are dead against players doing anything else other than playing cricket, this article isn’t for you. Obviously there is no discussion regarding cricket but instead marketing and advertising. And no discussion in cricket can remain complete without discussing about endorsements. Whether it was Sachin for Coca Cola or MSD for Aircel, endorsements pay in crores. Obviously before IPL they got more from ads but to an extent today one can get probably a good amount of cash from cricket too. 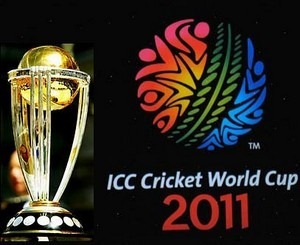 Brands like Pepsi and Reliance who are sponsoring the Cricket World Cup have direct competition from Coke and Aircel. But then why blame players for such things? In a true business world, they are just trying to get the best deal. Isn’t it upto the brands themselves to regulate such issues among each other? Aren’t players being made a scapegoat unnecessarily? Interestingly a survey of the various events where ambush marketing has taken place shows us that sporting events across the world from Olympics to the Super bowl have been victims of ambush marketing. The bottom-line is that everyone does that and rules need to be enacted to prevent it. But those rules shouldn’t hold the player responsible. And anyway at the end of it, it’s all about making your brand get noticed. This is controversial, sneaky and wrong but there are no particular rules against it. And till that happens no one will be held guilty. Interestingly according to the rules the players shouldn’t advertise for their respective brands 7 days prior to the World Cup and the departure of the team. This involves not having the name, logo or anything else related to any third party on their playing kit. So now that means that Sachin, Bhajji, Nehra and everyone else stand to lose a good amount of cash. Only time will tell how this fares out. But one thing is for sure, the lawyers for the players will have to make sure they know the rules and regulations of Bangladesh and Sri Lanka too, since the event is scheduled in the three countries. Interesting times ahead, isn’t it? Govt to Allow more Television Channels – A boon or a bane?